The BD Diesel Performance Low Fuel Pressure Alarm is a great investment to keep you Injection pump safe. If pump pressure ever falls below specs the LED light will illuminate, saving you hundreds of dollars for a new injection pump. 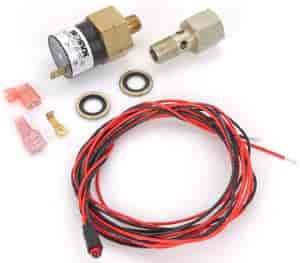 BD Diesel Performance Fuel Pressure Alarm Kits is inexpensive protection to have for keeping tabs on your trucks fuel system. A red LED light will illuminate if fuel pressure falls below a safety threshold. Does BD Diesel 1081130 fit your vehicle?